Wondering what virgin powder fields lie beyond marked territory, but ever so slightly apprehensive? Fear not. Our team have picked the very best ski resorts for novice freeriders. But, a word of caution – we’re anticipating a certain level of competence here. If in doubt, seek out an instructor and never head out to explore on your lonesome – be smart, take a buddy (preferably a professional). 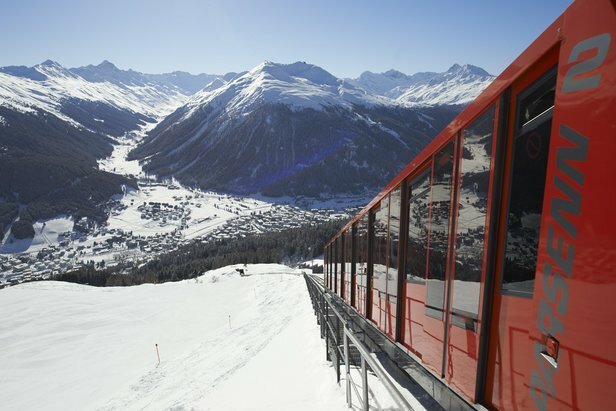 When the snow falls, Davos is a hit with freeriders. 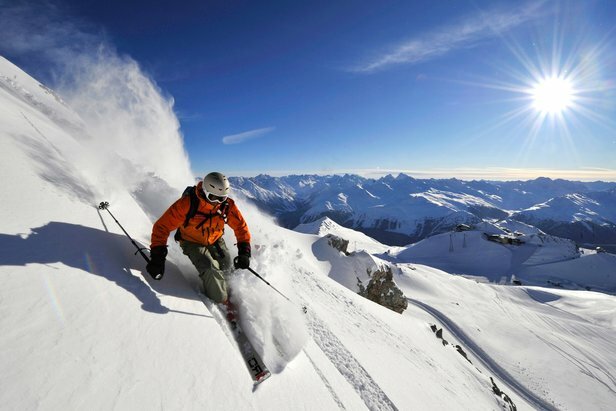 Easily one of the best resorts in Switzerland, it has superb freeriding spread across five mountains. Novices should check out the Madrisa and Pischa areas, both frequented by families. Parsenn, which links Davos Dorf to Klosters, known as the fun mountain, has plenty of easy freeride options. For something more challenging, there are short hikes from here which give you access to steep faces. Good snow can be found next to the Nulli T-bars. If you can hack it there’s a hike off the back of Nulli which will take you into the Sertig valley but taking a guide is a must. Avalanche training is available on the Jackobshorn – be sure to check it out. 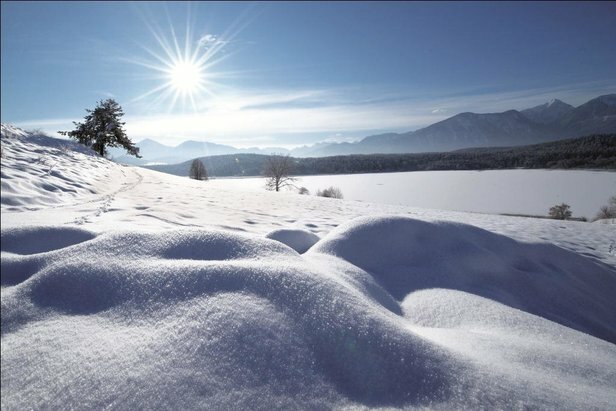 A top-notch freeride area awaits you in rugged Carinthia. Bordering Italy and Slovenia, it is home to Austria’s highest mountain: the Grossglockner (3,798m) which guarantees great snow. Nestling beneath Grossglockner is Heiligenblut – one of the most beautiful freeride areas in the eastern Alps – is comprised of 15 km² of open Alpine terrain and numerous variations and slopes. There are six different freeride areas and information about avalanches, open ski routes, local weather including wind and temperature is available at the Freeride Checkpoint at the middle station. Also available are freeride maps with tried and tested runs colour-coded according to their level of difficulty. A word of warning: once you’re up there, the Freeride Sectors are not secured against avalanches, they are not marked and are not monitored. We recommend taking a ski guide. 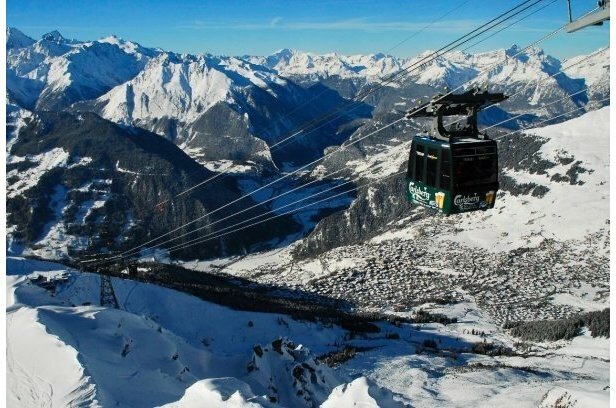 Without a doubt one of the sickest freeride resorts, Verbier is not for the faint hearted. Some would say it’s not the greatest for beginners, but, we beg to differ. There’s an insane variety of terrain to explore, a lot of which is accessible from the lifts meaning you won’t find yourself climbing for hours, which is a skill in itself. If you’re new to freeriding, Verbier has some of the best freeriding coaches around. Get in touch with the various ski schools, they can assess your ability and will find the most suitable terrain for your level. One of the best tours for beginners is Tour du Tête de la Payenne. To reach it, take the lifts up from the bottom of Bruson and head up the top T-bar. Take a short right-hand traverse over the back and walk up to the colouir on the right of the Tête de la Payenne. From here, keep climbing around the backside of the Tête where you’ll find some sweet chutes that head off down the mountain to the east. What awaits you is a wealth of open powder heading back down towards the valley floor. Tignes has a massive amount of freeride terrain to explore and loads of natural steeps. Much of the skiing is above treeline and high elevation equals quality snow. And, as it’s set in a giant bowl, there are plenty of nice powder stashes. Indeed, Tignes has many a fan for multiple reasons. 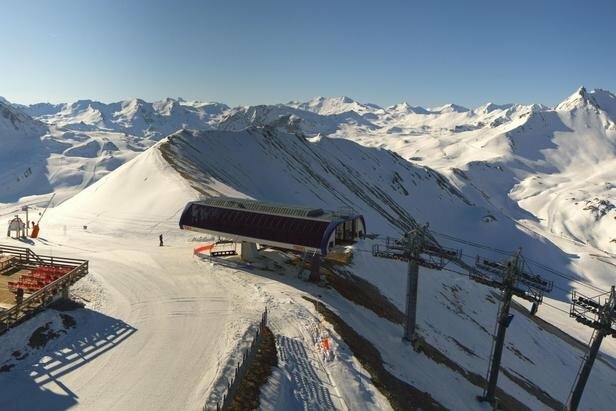 Beginner freeriders can head to the Toviere area, which has some sweet areas between the pistes that run into Val Claret. Otherwise, you can descend the other way from the peak towards Val d’Isere and revel in the powder bowls near the park. Tignes has more extreme off-piste terrain, in particular, the Chardonet bowl. If you don’t know the terrain well, don’t attempt it alone. Tignes gets a lot of avalanches, it’s extremely exposed due to its high-altitude position. Worth trying out are the avalanche protected and patrolled “Naturides” - these are runs which are ungroomed, the idea being to preserve their natural terrain. They develop a layer of powder after a fresh dump and mogul fields after several days. However, they get tracked out quicker than most of the other off-piste routes. Tuition is excellent in Tignes. Check out Snoworks which offers highly regarded Backcountry courses. A good freeriding resort that is still relatively unexplored, Ruka is one of our favourites for novice freeriders. The resort is well kept and the off-piste is manageable. It has enough open spaces and tight tree skiing to keep things interesting and whet your appetite without making you lose your lunch. Other pluses include: low-risk for avalanches, breathtakingly beautiful scenery, and empty slopes. Oh and Ruka’s famed for its powder stashes. 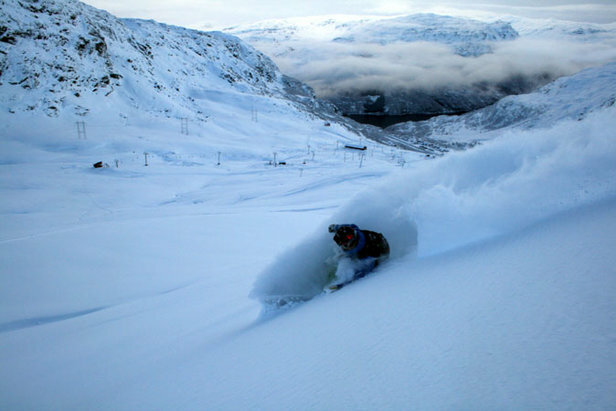 Located entirely above treeline, and claiming to have the deepest snow in Europe, Roldal is fjords and freeride heaven. The village, located in the municipality of Odda in Hordaland, has been voted the best freeskiing resort in Norway by a Norwegian newspaper. It’s also home to the Roldal Freeride Challenge, which takes place on the last weekend in April each year. The challenge, which they’ve nicknamed the “greatest show on snow”, was born in 2000 and has seen expert skiers and snowboarders and international riders tackling the mountains. In 2008 the resort hosted the finals of the Freeride World Qualifying Series – a huge accolade and testament to the gnarly terrain on offer.Guided backcountry skiing is available where expert mountain guides will take you to the best snow. Along the way, your guide will teach you about route selection, avalanche hazard and technique. Alternatively you can take part in a 2.5 day backcountry skiing course. The courses take place every weekend and on weekdays during the winter. 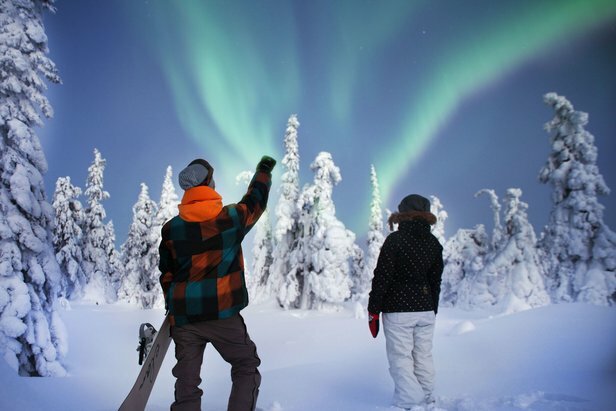 Check out VisitNorway for more information. The big draw of American resorts, for the safety conscious among us, is that they secure all the terrain within their boundaries. Novice freeriders should head to Vail’s famous back bowls. Why? They’re sunny, open, not too steep and every run ends in a lift. Perfection. No longer just a resort for those in the know, Niseko, on the northern island of Hokkaido, is a top-notch freeriders’ resort which continually delivers the goods. There ain’t much hiking to be done here as the highest lifts are all within a few hundred metres from the mountain’s summit. It’ll take you 20 minutes to reach the peak of Mt Annupuri and from there you have access to wide open bowls, trees and gullies. Riders rave about the quality of the snow which is dry and deep. On average, 600 inches of the stuff falls each season. The resort itself is pretty swish; last year at the third annual World Ski Awards, The Vale Niseko won the award for the World’s Best Ski Boutique Hotel. 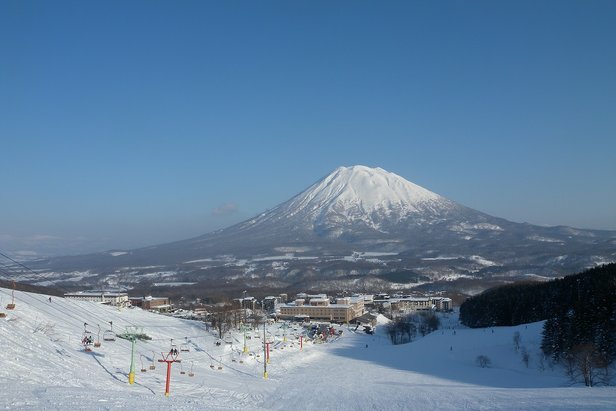 Spectacular views of Mount Yotei from Niseko ski resort, Japan.